Sweet dreams are made of these! 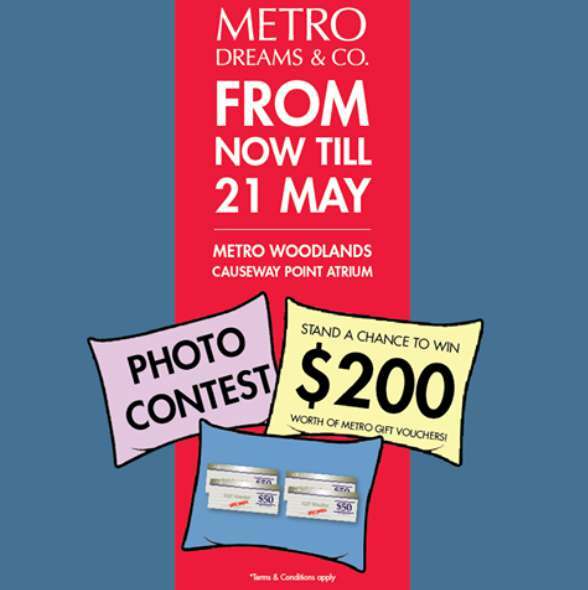 Swing by the Metro Dreams & Co. Fair at Causeway Point Atrium and take part in our photo contest! Upload a photo of your best sleeping pose with our photo wall at the atrium fair in the comments below and stand a chance to be one of the 3 lucky winners to win $200 worth of Metro Gift Vouchers! Contest ends 21 May 2017. Find out more at Metro.